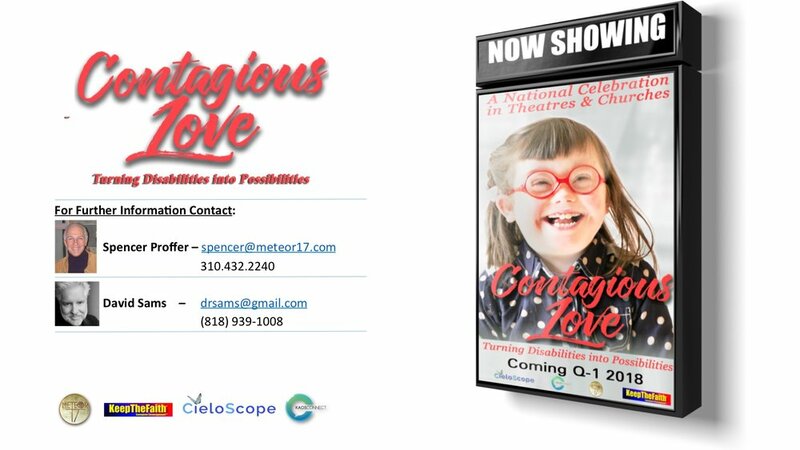 Contagious Love is an unprecedented celebration of Special Needs Champions coming to Radio, Television, Theatres and Churches. Contagious Love is a Game-Changing Initiative specifically designed to motivate people coast-to-coast to start local, boots-on-the-ground Special Needs ministries. Contagious Love brings the hidden and prominentinspirational disability stories of people, ministries, churches and synagogues to the forefront of America. Attendees will witness the stories of disability champions among the likes of Joni Eareckson Tada, Nick Vujicic, Bethany Hamilton, Jen Bricker, Kevin Laue and many others.